Based from my home in Epsom, Surrey, I ensure every cake I make is made to the individual instructions of my customer, giving a unique centrepiece to any special occasion. For wedding cakes, colours and styles can be matched from other themes, such as the lace on your dress or bridesmaids' flowers. 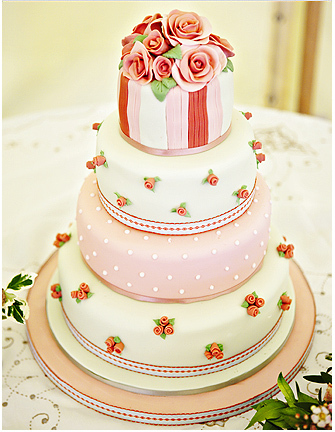 Cakes can be made in a variety of flavours, sizes and shapes. I pride myself on making your cake taste fantastic. Please call or email me to arrange a cake consultation, I'd love to hear from you, so I can transform your ideas and requests into a wonderful cake that will be a talking point with your guests.